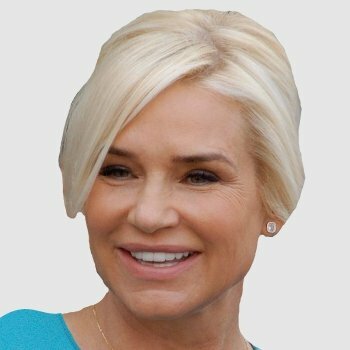 Yolanda Hadid has been selected to be the 2016 recipient of the Invisible Disabilities® Association’s “But You LOOK Good” Inspiration Award. Yolanda has been chosen because as someone who lives daily with Lyme disease; she inspires others in the midst of their challenges and triumphs. Thank you Yolanda for your courage in sharing your journey with the world. Yolanda was born and raised in Papendrecht, a small farmer’s town in Holland where she rode horses, milked cows and loved the farm. She grew up rather fast after her father passed away when she was just seven years old and, feeling the need to provide for her brother and her single mom, she became a dishwasher at the local Chinese restaurant at the age of 13. At age 16, Yolanda was discovered by world-famous modeling agent, Eileen Ford, and left Holland to become an international model living and working in Paris, Milan, Hamburg, Sydney, Tokyo, and eventually New York City. In addition to modeling, Yolanda is a television personality, interior designer and author. She is best known as a star of the American reality-television show The Real Housewives of Beverly Hills. 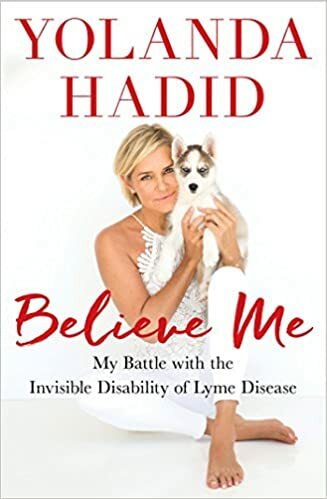 In 2017, Yolanda will be releasing her new book, Believe Me: My Battle with the Invisible Disability of Lyme Disease.